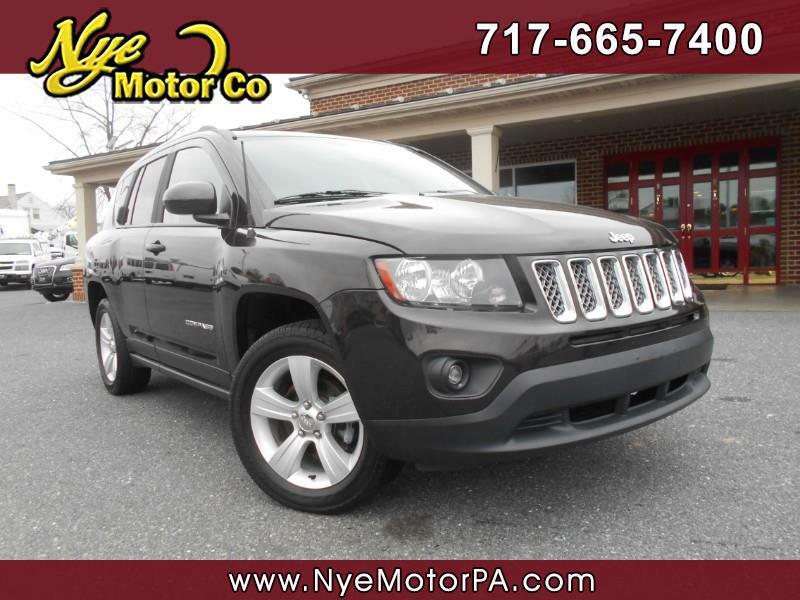 Used 2014 Jeep Compass Latitude 4WD for Sale in Manheim PA 17545 Nye Motor Co.
****CLEAN VEHICLE HISTORY REPORT****LOW MILEAGE****HEATED SEATS****4-WHEEL DRIVE**** BEAUTIFUL**** Must see 2014 Jeep Compass Latitude 4WD with only 33K miles! Outfitted nicely with Heated Seats, Aux Audio Jack, Cd, 115V 150W Plug, Steering Wheel Mounted Controls, Cruise, Tilt, Power Windows, Power Door Locks, Power Mirror, and More! Call today to schedule your test drive.